The new and reformed Xiaomi Redmi 6A, has currently become the most affordable smartphone of the year in India. The Chinese phone maker on Wednesday 19/09/2018 announced the launch of the Redmi 6, Redmi 6A, and Redmi 6 Pro at an event held in New Delhi. The price of the Redmi 6A starts at just INR. 5,999/- only. All three variants run on MIUI 9 on top of Android Oreo, with tall displays of 18:9 and 19:9 aspect ratios, and AI-powered face unlock capabilities. Common features among the three smartphones are dual VoLTE, Face Unlock and Unlock with Mi Band, dedicated microSD card slot, and promised support for Android 8.1 Oreo-based MIUI 10 custom UI. Now let’s talk about the belle of the hour the Xiaomi Redmi 6A. The first Redmi 6A has begun sales today and is finally ready to purchase on Mi.com as well as Amazon on the 26th September of 2018. 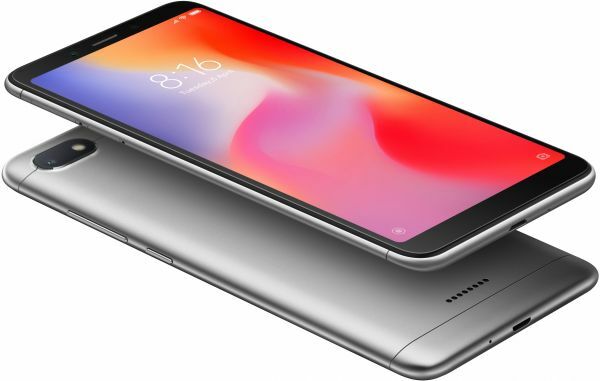 The units will be available in limited quantities, and the Redmi fans have to be quick to get their hands on the handset and add the handset to their cart. The Redmi 6A claims to be “The entry-level smartphone king” with a 12mm architecture with an Helio A22 Processor, so it’s less energy intensive and optimized for compatibility with MIUI 9 for long-lasting endurance. It also has a 5.45″full-screen display that promises a slim and holdable body that you wouldn’t want to put down. The Redmi 6A was designed to give a broad field of view and still feel just right in your hand. With a 5.45 inch 18:9 HD screen covering 80.5% of the front surface, it’s a cinema-quality experience in a slender frame that fits snugly in your grip. It has a 2GHz quad-core processor. It has a resolution of 720x1440pixel and 16 GB internal storage. With an amazing 5 MP front camera and a 13 MP rear camera, the phone allows you to take great photos, effortlessly. The high-quality light sensor coupled with 13 megapixels produces like-you’re-there detail, while PDAF high-speed focusing instantly locks onto subjects, even in motion. Take selfies using the front-facing camera with portrait mode + Beautify and get stunning results every time. It has an AI face unlock. It comes with a faster and smarter unlock capabilities that will help you unlock your phone with just a glance. a microSD card slot up to 256 GB extendable data storage and a ram of 2 GB with a battery capacity of 3000mAh that the company claims will deliver up to 40 per cent more juice. The Redmi 6A comes in four bold colours of Rose Gold, Blue hues, Dark Grey, and Bold Black.